3D printing can be either used on a technical level to improve your equipment or on a marketing level to promote your brand and product in front of cameras. Have you ever hankered for your favorite TV character to be real? Would you like to have a hero figurine to your image on your desktop? It’s very easy with 3D printing! Check that you have the right to do it, upload your design on our website, set the size and get an instant quote on the price for 3D-printing. As a studio, create a service of customized figurines for your fans and take advantage of 3D printing that allows each design to be slightly different without requiring a whole new process. Make a personalized marketing for each customer to reinforce their enthusiasm and passion. Our multicolor material offers all colors and a good precision on your design for a detailed texture. Our production allows designs up to 8 inches in 3 directions and three different finishing from raw to glossy as described on the material page. Many accessories are needed to shoot a TV program or a movie. Most of them are unique and need to be printed only once, that’s why professionals of broadcasting often prefer 3D printing to manufacture because it’s easier, cheaper and faster. The printed object can be as simple as decorative brand logos for a TV show to promote a company or a product. From a simple logo, you can easily extrude a 3D object to create perfect badges or magnets. Read more about how to create a 3D file in our tutorials. Chose the right material among our large range of materials to create the perfect object. 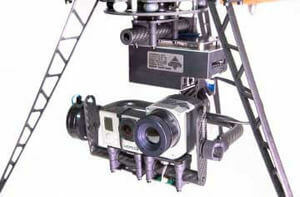 Design your movie accessories and print them with high-resolution plastic (60µm) for a perfect illusion on close-ups. A lot of video and audio equipment is required on a shooting and that implies many peripheries and wires. Also, technology is changing very rapidly and a brand new camera can quickly become obsolete and need adapters. For these reasons you’ll love the 3D-printing solution that allows you to create dedicated boxes for your camera that will embed all peripheries. Reduce the risk of breaking them while carrying or during manipulations. If other people are interested in this product, you can start selling them thanks to our batch control tool that makes the series printing easier and cheaper. You also can set a fee on your design to earn money on each print of your object. 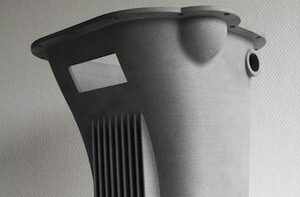 Engineers, Architects, industries... they have chosen Online 3D Printing! Sculpteo helped us create and improve several prototypes in record time. We have worked with a lot of partners, and Sculpteo particularly for our scale model made by 3D printing, which has allowed us to produce the model in a very short time, in the exact way we imagined it. Thanks for the beautiful models that you [Sculpteo] have produced for us, we will order from you again. When two French designers are inspired by 3D printing, they give light a heartbeat. Sculpteo has built this promotional architectural model for the fundraising campaign dedicated to the restoration of the 'Merveille du Mont Saint-Michel' mockup in 2014. Selective Laser Sintering 3D Printing has been done in several sections in order to build a big size model of 1 meter high, 50 cm large and 90 cm long. It’s well known that drones and 3D printing definitely make a good pair. Additive manufacturing technologies allow droning professionals and hobbyists to build their own aircraft. With today’s technology, drones can perfectly match their owner’s needs. We met up with Alexandre Labesse, CEO at Hexadrone, to get his views on the influence of 3D printing in the industry. 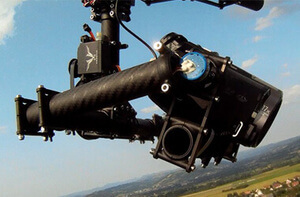 Based in France, Hexadrone is a mechatronic company, as Alexandre Labesse explained to us. Thanks to our unique technologies, you are able to analyse and repair your 3D file in seconds, review the solidity of the future 3D print and even hollow the inside of the model to make it cheaper to print. Prototypes and functional production parts for planes, drones and satellites. Check aeronautics and aerospace applications. Prototypes and functional production parts for drones. Check drones applications. Supply chain management, sales tools and prototypes for automotive industry. A new way of thinking cars during the complete life cycle.